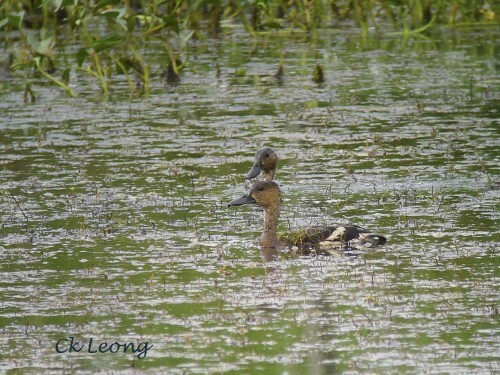 A blue ribbon day for migrant ducks. 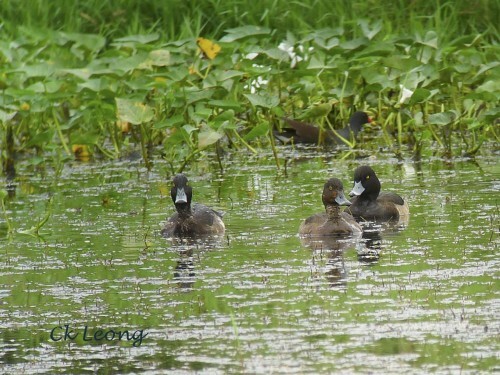 Today at a small fish pond in Tuaran, fellow bird guide Thomas and I spotted a small group of visiting Tufted Ducks Aythya fuligula feeding amongst the locals. 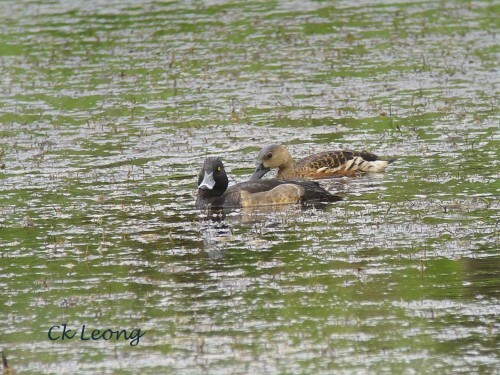 The residents, Wandering Whistling Ducks Dendrocygna arcuata and Common Moorhens Gallinula chloropus, have always been seen here. 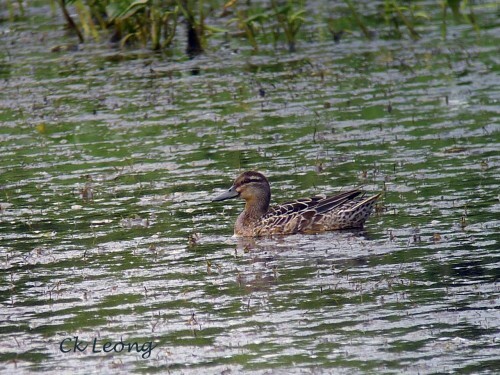 More joy to follow when a female Garganey Anas querquedula joined the group. 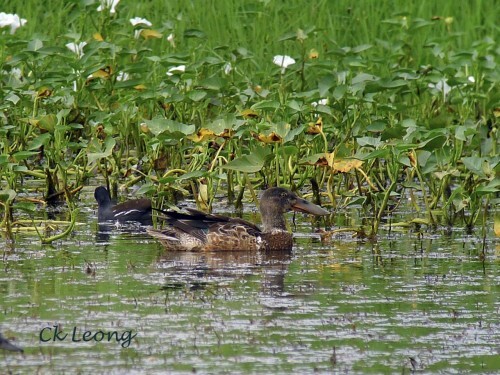 Not to be outdone, two pairs of Northern Shovellers Anas clypeata with their big spatulate bills came out of the reeds. 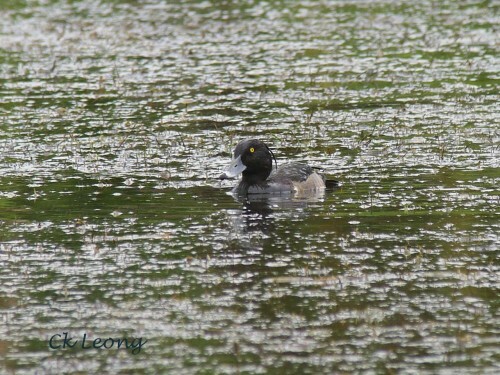 No Daffy but it was already a grand day. Excellent finding my friend !!! Makes it a reason to go to Tuaran to get some more Lifers then.. 😛 Thanks CK.. 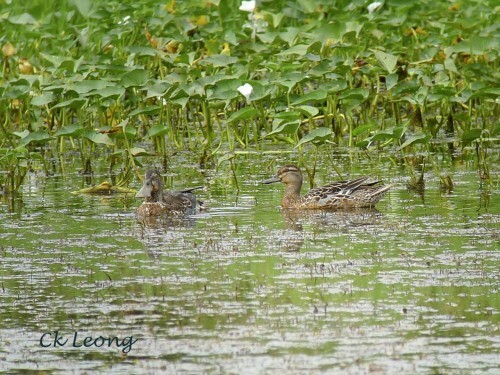 So happy to see those wild ducks around. I’m so worry that the locals would hunt them. Murphy, sad to say it but it’s going on.